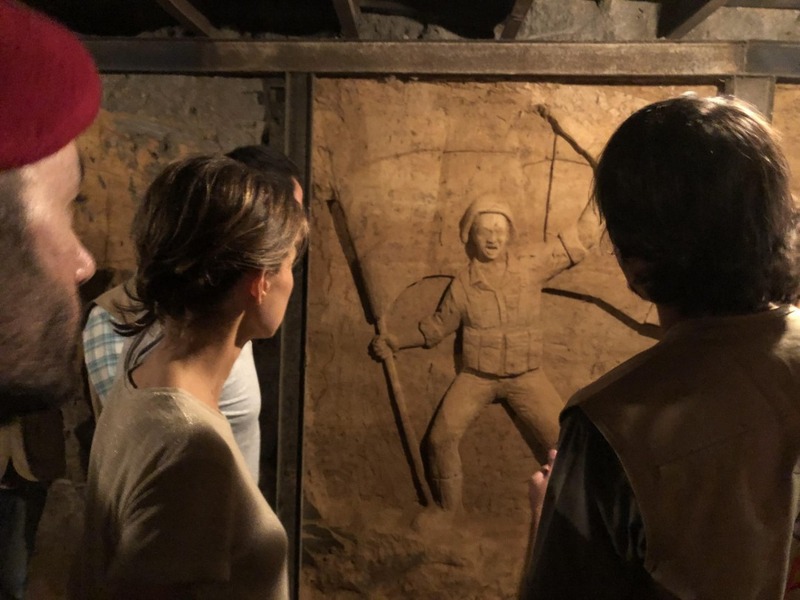 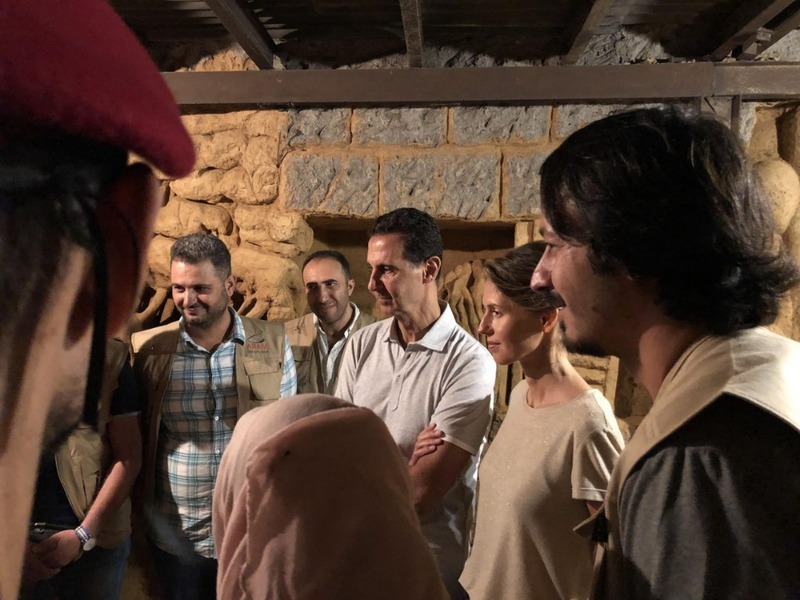 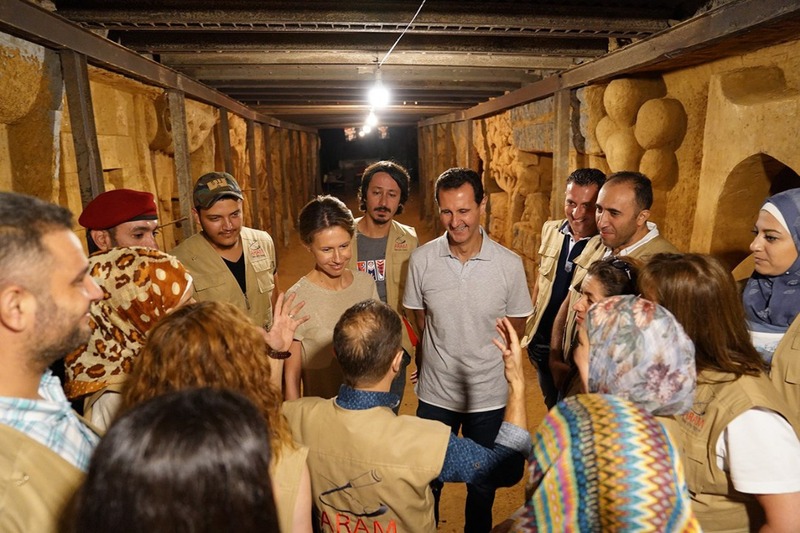 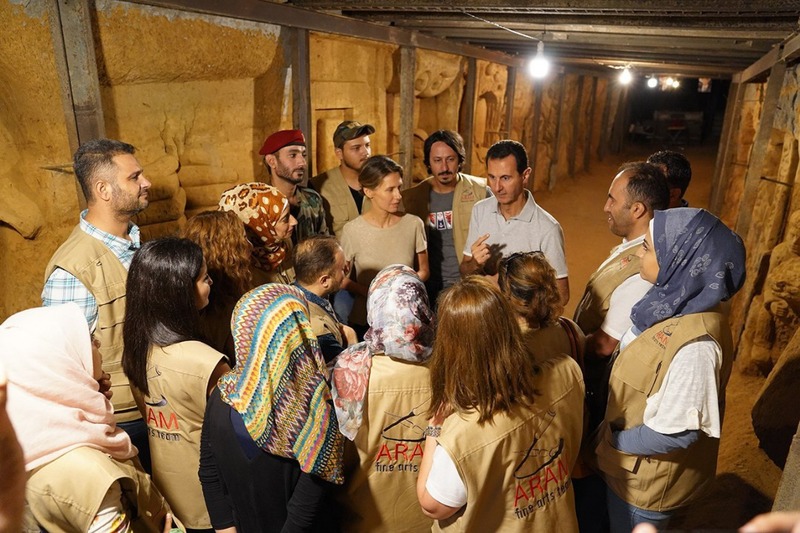 President Bashar al-Assad and Mrs. Asma al-Assad visited on Thursday one of the tunnels of death dug by the terrorists in Jobar neighborhood, which were turned by 18 Syrian artists to a place of art and creativity after making dozens of sculptures on the walls. 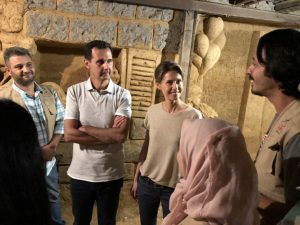 President al-Assad and Mrs. Asma praised the initiative and efforts of the “Aram” team’s artists who decorated the tunnel and cleared the fingerprints and the darkness of terrorism that haunted it for years, with artistic carvings depicting the sacrifices of the Syrian Arab Army, the Unknown Soldier and the ancient and modern history of Syria. 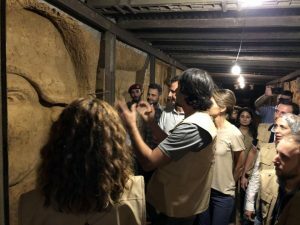 18 Syrian artists carved various sculptures on the walls of the tunnel reflecting the victories of the Syrian Arab Army, the values of martyrdom and peace, harmony among the Syrian society and the civilization and history of Syria as they turned the tunnel into a showroom to erase darkness of thought that dominated it for a while.